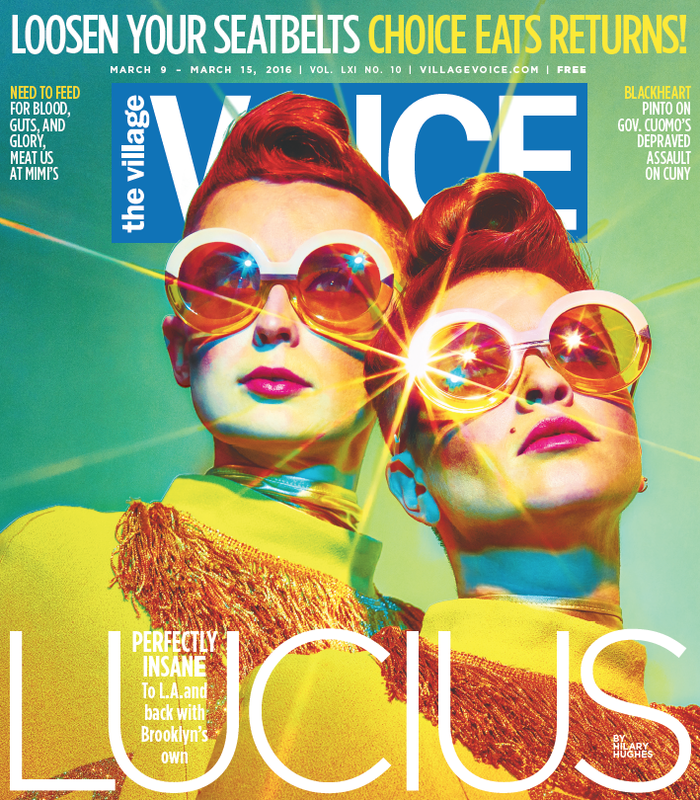 For this week's cover, The Village Voice featured Lucius in a stunning cover story that captures the bright aesthetic and brilliant energy of the group. The feature goes into the writing process behind their upcoming album, Good Grief, out tomorrow March 11. It also covers subjects including: living in LA, touring the country, fighting, making-up, rehearsing, performing, and of course the reasoning behind their iconic identical appearance. Read the full story here and grab your copy of Good Grief now! You can catch the band on tour including stops at SXSW, Bonaroo, and Eaux Claires Festivals.